Enhance personal knowledge and skill on auditing. Plan for a personal career advancement. Recognize compatibility among other different standards of management systems and their possibility of integration. First and second level team leaders and managers. Quality and process improvement professionals. Those interested in becoming ISO professionals in auditing. There is a balance between knowledge-based presentation, discussions, exercises and mini case studies. Certificate of Successful Completion will be awarded to students who have achieved the attendance criteria, satisfied with continual assessment and final exam in the course of training. 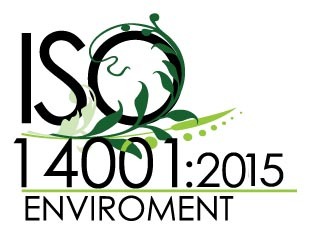 Interpret the ISO14001:2015 QMS Requirements. Introduce skills involved in auditing and regulation needed for Conformity Assessment of Bodies providing audit and certification of management systems certification. Introduce initial steps of audit preparation and audit planning. None however students are expected to have some prior exposure to the ISO standards series. Students without such background may find it difficult to follow. Dr. Lam has been working in construction industry over 30 years. His career path started as an engineer in contracting companies working on infrastructure projects in late 80s. He pursued to quality field in late 90s and obtained his Quality Management System auditor qualification. Dr. Lam then advanced his career fields on Environmental Protection and occupational health and safety and obtained the pertinent professional qualifications. In the last five years, He has played heavily on the role as a management system auditor on quality, environmental protection and occupational health & safety in different business fields. Dr. Lam also lectures for various educational Institutes on relevant quality, environmental protection and occupational health & safety subjects and consults for different companies on establishing and maintaining ISO management system certification.